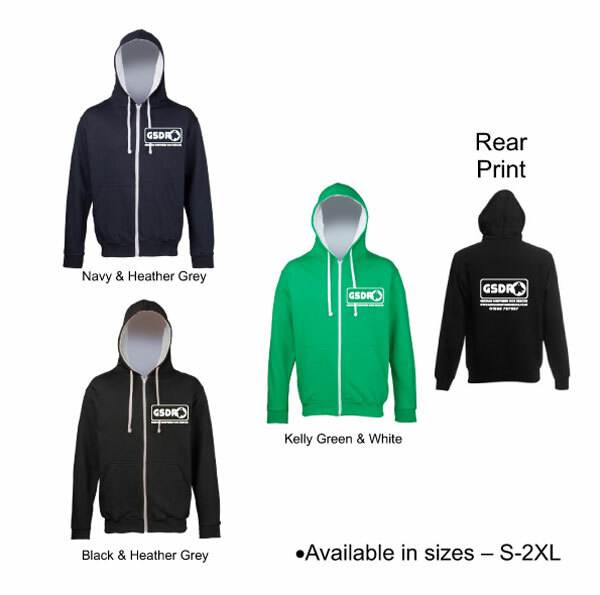 These Zoodies are pictured in Black / Heather Grey, Kelly Green / White and Navy /Heather Grey. Other colours available on request. The GSDR logo is printed on the front and back but if you would like something else on them instead, please just ask. Material is 80% cotton, 20% polyester.